“That’s what makes us a great team.” A new teaser has been released for season two of Killjoys. 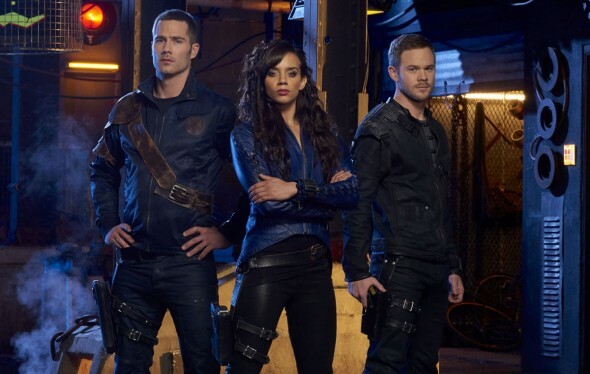 The Syfy adventure drama stars Aaron Ashmore, Luke Macfarlane, and Hannah John-Kamen as a trio of interplanetary bounty hunters. Season two premieres this July. What do you think? Are you a Killjoys fan? Will you watch season two? More about: Killjoys, Killjoys: canceled or renewed?, Syfy TV shows: canceled or renewed?